Always-there support from a team of experts. Our pharmacists and care team work with your doctors and insurance to find you ways to save. One lovely place to manage all your prescriptions. Take speedy care of deliveries, payments, and refills. Or send us a secure message anytime you need a hand. 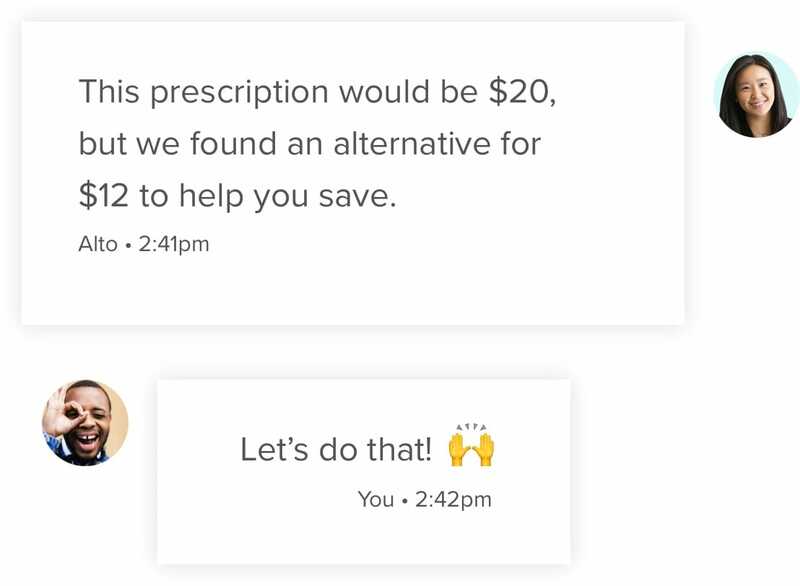 Your meds, delivered to you, by hand, for free. Our couriers arrive at your door when you choose, even the same day you get your prescription. The box is discreet outside and friendly inside. Fifty percent of prescriptions are never even picked up. That’s a lot of healing that never has a chance to happen. 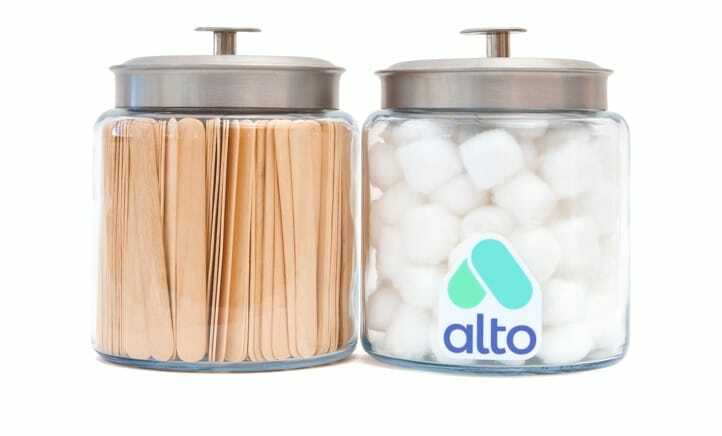 Alto is a pharmacy, yes, but our hopes are much larger. We want to get medicine to everyone who needs it, in a way that makes each person feel truly cared for. 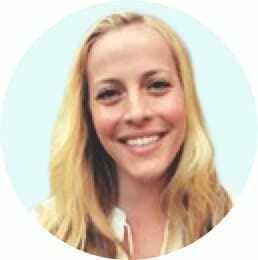 "Interfacing with the Alto team is like texting with your mom when you have a sore throat. Proactivity, compassion, follow-through and intellect—it’s pure magic." And just in case you’re wondering. 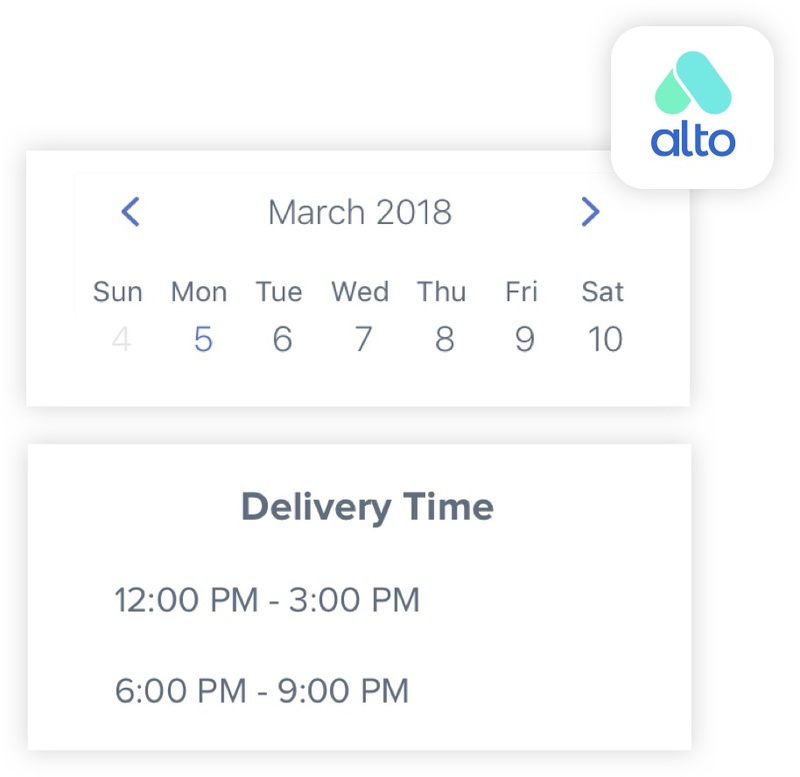 After your copay, Alto is totally free: no service or support fees, no delivery charges. Your copay will stay the same and we’ll always work to find ways to help you save. 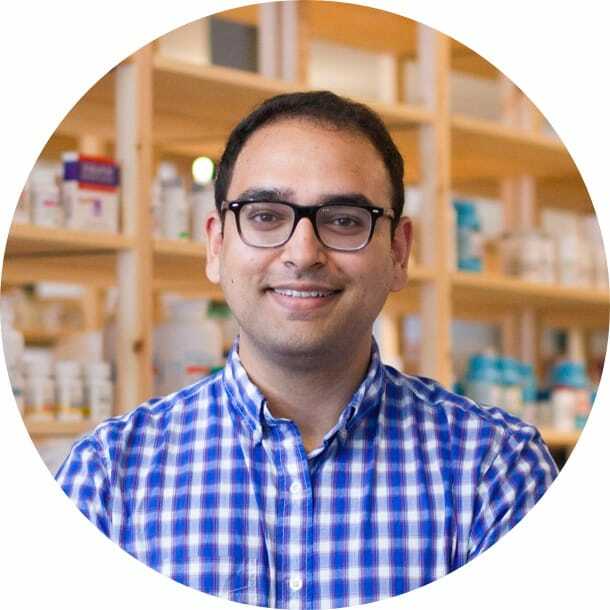 We stock all common medications and specialty treatments for fertility, dermatology, and more. Our patients rate us 4 times higher than big pharmacy chains. Because we give all we’ve got to offer everyone the best care humanly possible. We're here today and growing fast. prescriptions, improve outcomes, and lower the cost of care. Get the best care humanly possible, for free and your same copay.